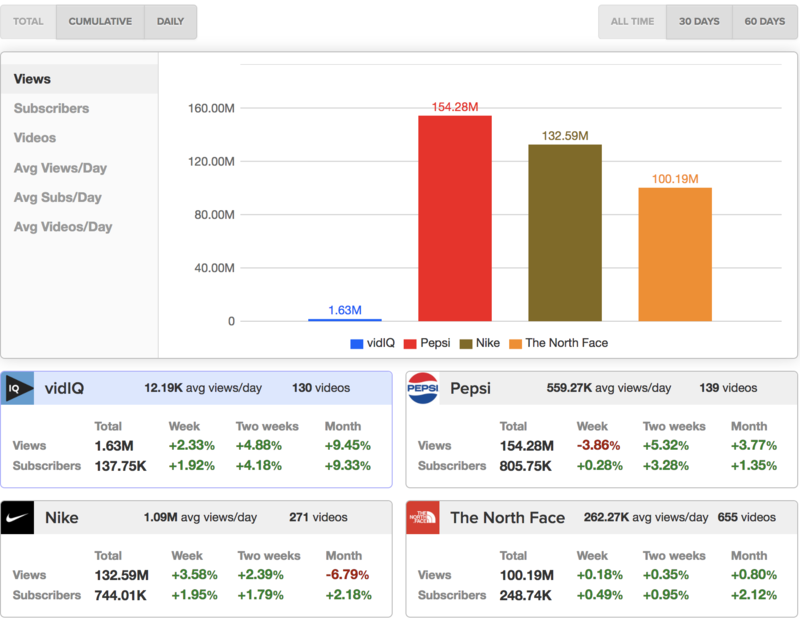 As we stated earlier, the Web App is your base of operations and one of the best places to keep tabs on all of your videos as well as your competitors. vidIQ Web App- The main dashboard is comprised of a number of modules that can be added, removed, and moved to be tailored to your preference. the upper-right. Gray bordered modules display LTD data only. 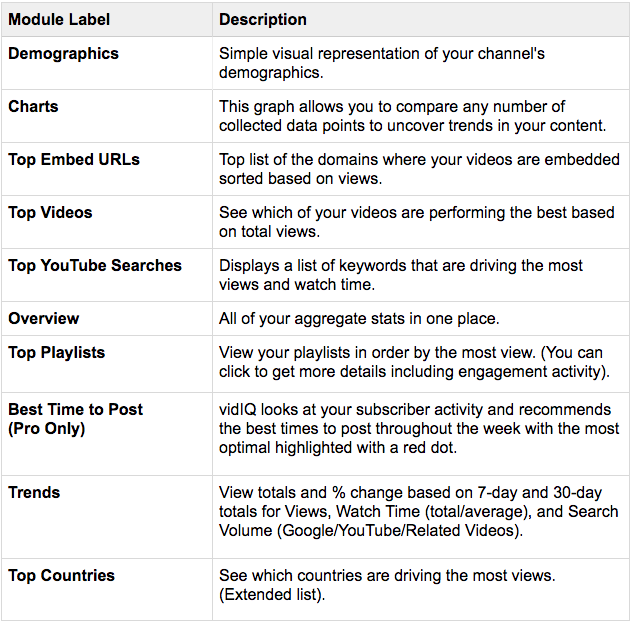 After you're done looking through your channel's dashboard, make sure to check out the competitors tab. You can add competitive channels to the list (limit based on package) and track your progress against theirs. Now that you have a better understanding of how to measure your channel using the vidIQ Web App, let's dive into optimizing your videos!